To seek help, support and assistance with using or installing Linux Mint, please use the forums or the chat room. 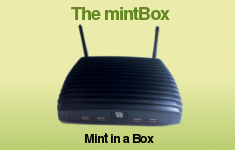 The forums are located at https://forums.linuxmint.com. You can access the chatroom from within Linux Mint, by launching "Menu -> Internet -> Hexchat" (or "Konversation" if you are using the KDE edition). Please be patient when waiting for an answer and don't hesitate to have a look at the user guide, while you are waiting. If you are new to IRC (the technology used by the chatroom), please read this tutorial. For queries related to passwords, accounts, registration and moderation, please contact the administration team at admin@linuxmint.com. Please do not address support queries to this address. For other queries, please send an email to root@linuxmint.com. Please do not address support or administration queries to this address.